After a long break of almost a month I was getting back to Warmachine. That was quite intense period and to be fair I didn’t have much time to think about the upcoming tournament. 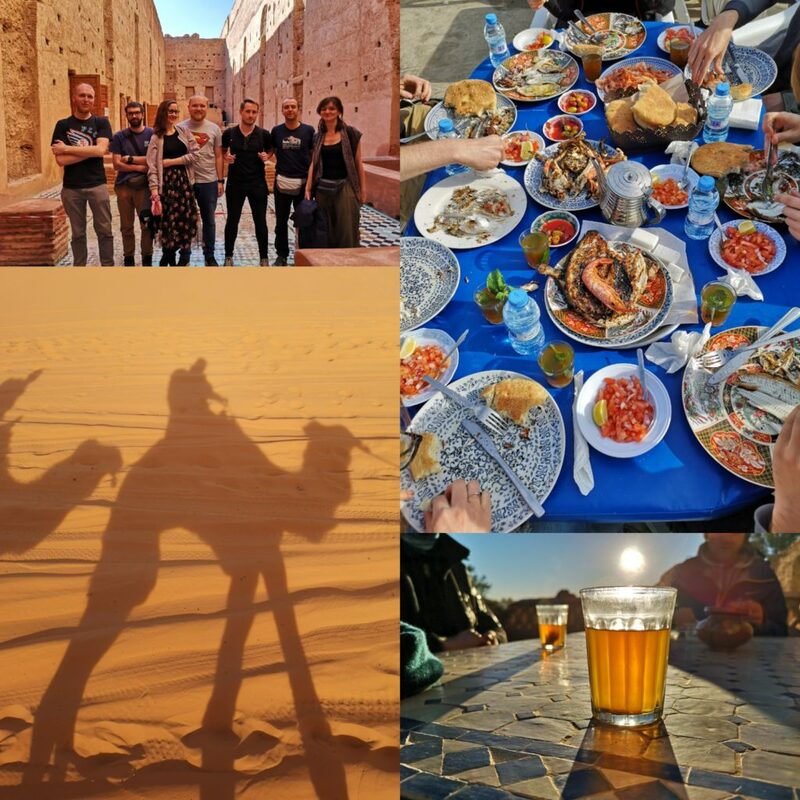 We had great time in Morocco with friends and my fiancé. We could enjoy sun and warm weather for the very first time in couple of months. Charging batteries this way during the winter time helps a lot. I was looking forward to taste new flavors and see beautiful views and I got that and a lot more. However, after such long time I was truly eager to play and I had only one shot to test my new list, so I decided to take a copy-paste list from Internet so I was sure it will (should) work. Tomek’s list had overwhelming firepower and was capable of removing a warbeast or two per turn. Fortunately I was able to return one of them once 😉 The only thing I needed to make sure of was not losing two beasts in one turn before dealing significant damage to Galleon. Easier said than done, unfortunately. I won the roll and decided to go first and Tomek took the side of the table that wouldn’t cripple Galleon’s maneuverability. I deployed my battle group in the middle, Raptors on the left flank and Hex Hunters on the right. I forgot that they have Advance Deployment. Tomek deployed Galleon on the left flank alongside with Devildogs – one of his favourite units I believe, when in MK2 he was playing High Reclaimer with great results. Sadly, there is no photograph from Deployment phase. On the left side, the flank terrorized by Galleon, I kept safe distance and tried to stay outside of any range threats. On the other side of the board I have moved stealthed unit far up the table. Thagrosh1 put his upkeeps on. 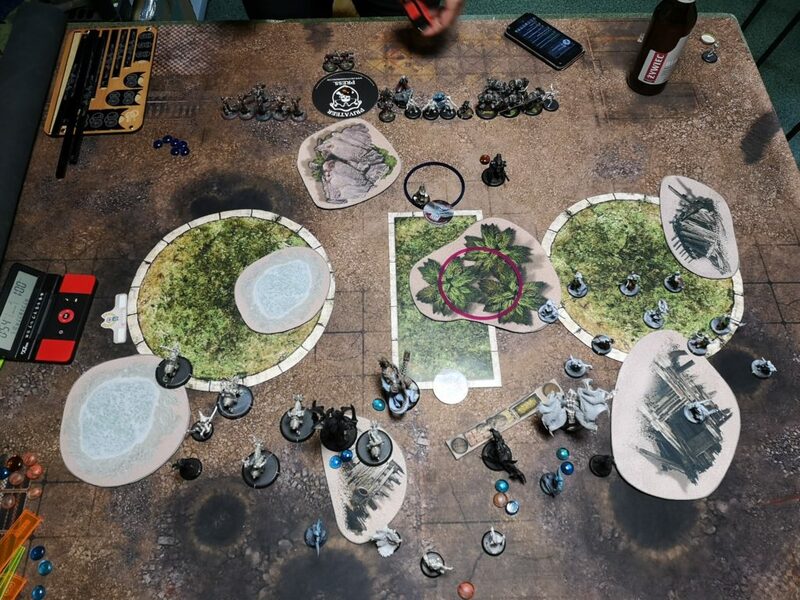 Tomek managed to shoot off couple of Hex Hunters and took favourable positions for the next round. In my turn I had to take off the board all 5 Bastions at once. Gibbs was there to heal them next round, so I had to make sure all of them would bite dust. Azrael with his two spear throws managed to deal significant amount of damage to Bastions. Tomek took one of them off the table after I rolled double sixes and decided to take 13 damage instead of taking the other Bastion out. Thanks to Azrael’s outstanding performance Hex Hunters were able to finish off the remaining Bastions. On the left flank Typhon and Zuriel sprayed the colossal. Raptors with +2STR charged Galleon but haven’t managed to cripple any system. In retaliation Tomek killed two of my costly beasts, shooting off Typhon and draging in and punching Zuriel to death. Most of Raptors were gone too. 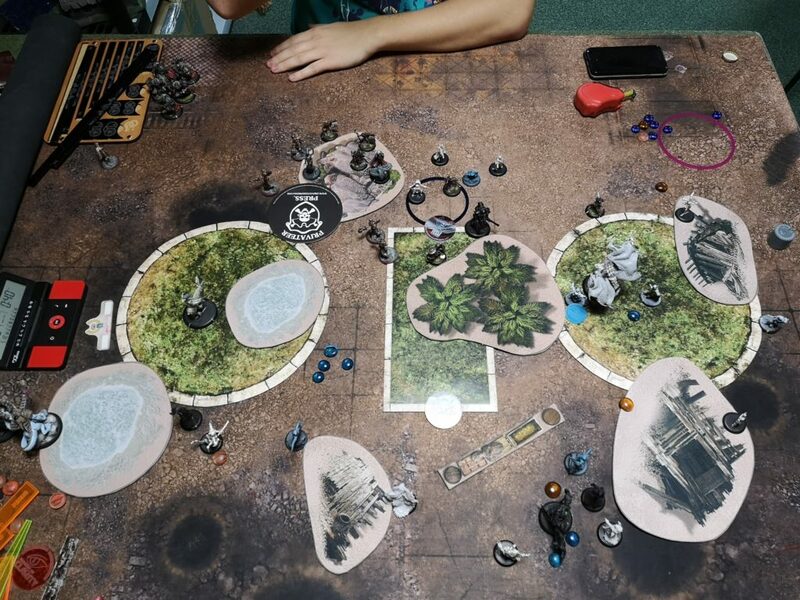 Anastasia charged in from the right flank and killed Bayal. 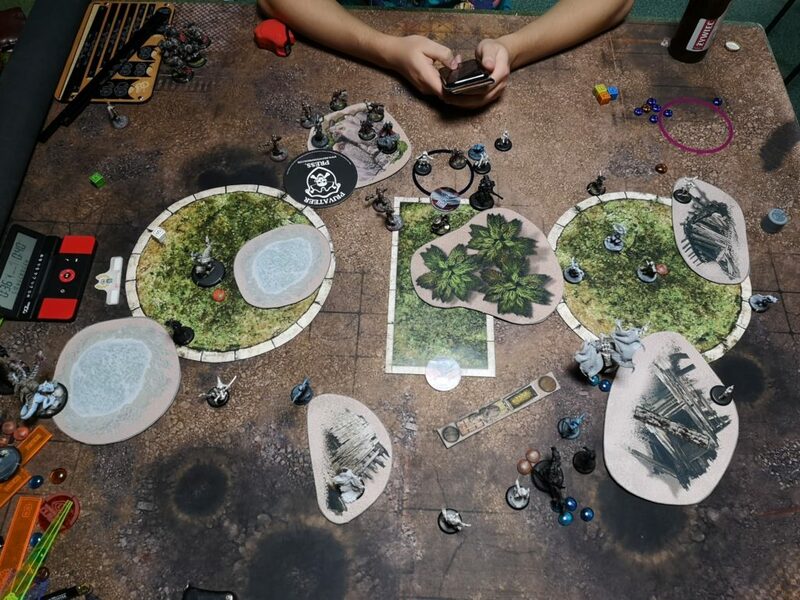 Couple of Hex Hunters died to shooting. In this situation, with Galleon still functioning, I had little choice but to try assassination. Azrael moved in. I had 2 chances of slamming Caine and I succeeded with the first attempt. Caine with no focus points on him had no chances of surviving that and we shook hands. Against such a shooting list the opposite army has to take advantage of the terrain. 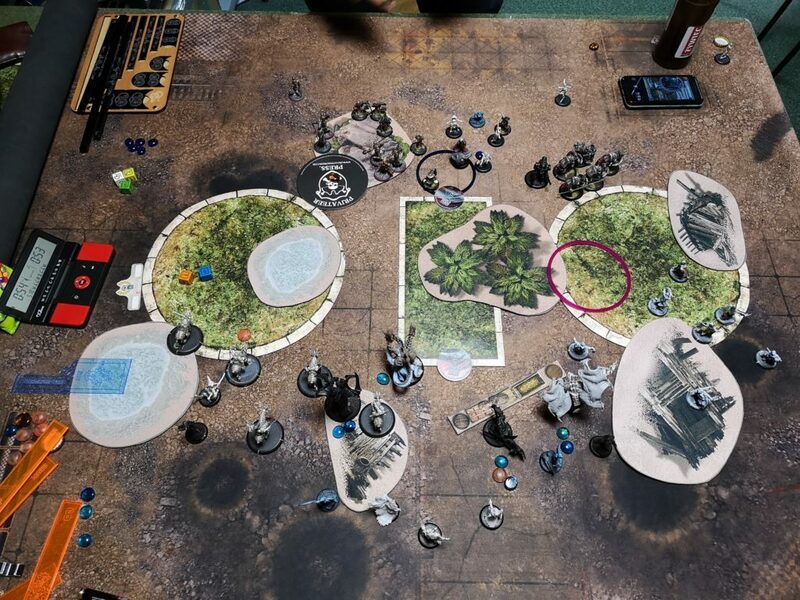 Sadly, there was a big forest in the middle of the board and thanks to Mage Sight it was a very one-sided LOS blocker. I couldn’t one round Galleon what resulted in losing almost the whole flank. I should have left Zuriel far back and prepare him to retaliate next round. Happily I have spotted a chance and took it. In case Tomek wouldn’t gave me that chance I would be in trouble. Tomek decided to change his list a little bit and get rid of Bastions. Good for us, since we are going to take part in Polish Team Championship in one team, all together with Mateusz. The next 5 games were played during a big tournament in Wroclaw, a lovely city in southern Poland.